Give a fair shake to 'fair tax': New video! Disinformation is already rampant, and a final vote on the proposal to amend the state constitution to allow a graduated income tax is still almost 20 months away. 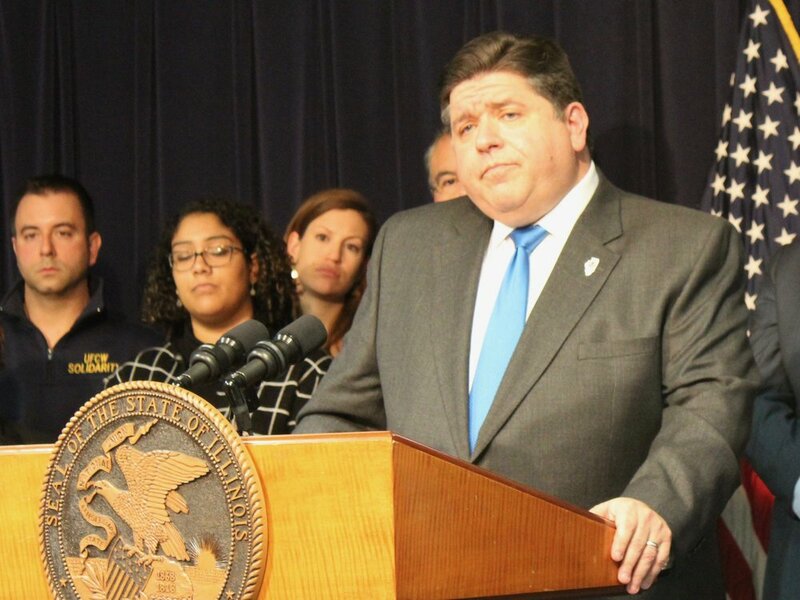 Pritzker was elected on a platform to bring a progressive income tax to Illinois. It was a key part of his inaugural address in January and his first budget address the following month. He laid the specifics out earlier this month, proposing six tax brackets that would actually cut taxes for 97.3 percent of Illinois taxpayers, with the tax rates peaking at 7.95 percent for million-dollar earners. Before that, however, the normally reliable Better Government Association reconsidered the alternatives — extending the sales tax to services, taxing retirement income, and raising the current flat tax — and rated Pritzker “mostly false” in his reasons for rejecting those taxes. Let’s re-examine what Pritzker has said. As a sales tax, a tax on services is regressive by definition, charging the same fee on rich and poor. A tax on retirement income, in order not to be regressive, would require the same change in the constitution as a progressive income tax — first passing the General Assembly by 60 percent supermajorities, then being approved by voters by the same supermajority in the next general election in November 2020 — so why not just do that and not tax retirees on fixed incomes, especially as Illinois attracts retirees from other states at a time when it’s losing population? He’s rejected a hike in the flat tax, saying it would have to be raised 20 percent on all Illinois taxpayers to address the current budget deficit, and the impact would fall heavily on low-income workers and the middle class. If you “really can’t trust” government, however, why grant it any money at all? Meanwhile, the Illinois Policy Institute has flung a series of arguments against a progressive tax against the wall, at one point suggesting the tax plan doesn’t raise taxes enough to cover programs the IPI doesn’t even want to see funded in the first place. Pritzker’s office has tried to undercut the disinformation with a simple online tool: a “Fair Tax Calculator” that enables any taxpayer to plug in basic information and get an estimate of how the graduated income tax will alter the final tax bill. Again, 97 percent of Illinoisans are expected to find their taxes lowered. The IPI has responded with its own tax calculator weighing both the current flat tax and the Pritzker plan against a “promised” tax rate of 3.75 percent to fund what “you should” be paying. Promised by who, one might well wonder. But that’s consistent for the IPI, which attacked Pritzker on the campaign trail last year, when he had yet to specify any tax brackets or tax rates, by simply making up figures for what it said a graduated tax would have to look like. Of course, its projections were unrealistic, but that in turn was consistent with the attack staged by then-Gov. Bruce Rauner, who repeatedly insisted a progressive tax would simply have to raise taxes on the middle class. That’s the way the debate has gone, and it only figures to get worse as the proposal to alter the state constitution to allow a progressive income tax moves through the General Assembly and, almost 20 months from now, gets a final referendum before voters. And let us add not with deliberate lies, propaganda, and disinformation. One Illinois videographer Zachary Sigelko makes the case for a little political honesty.